Social livestreaming app Hang w/ has been updated with new functionality for the new year, allowing users to stream live video from a GoPro camera to users on the app, or popular social networks. Via this update, users of GoPro Hero 3+ devices can broadcast both video and audio using their GoPro camera and associated iOS device. GoPro users have the option of broadcasting a public or private video feed to the app, or to users on the Web, Facebook or Twitter. The GoPro feature of the Hang w/ app pulls video directly from the GoPro camera, while streaming audio from the broadcasting iPhone or iPad. For instance, when using a GoPro in combination with a flying drone, users could stream the live aerial footage to their feed, while also narrating and chatting with their viewers via their iOS device back on the ground. Hang w/ has already recorded footage using a GoPro Hero4 and a DJI Phantom 2 drone. Users interested in viewing that footage can follow the “hangwith” account within the Hang w/ app. 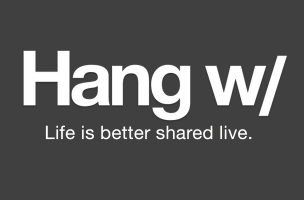 Hang w/ is available to download for free on the iTunes App Store. The app was updated in Fall 2014 to allow users to earn up to 25 percent of the ad revenue generated by their broadcasts. In the app, users can publicly or privately broadcast their lives, chatting with their viewers in real time, with support for unlimited 15-minute broadcasts. As a social network, users can follow others, and will receive notifications when their favorite broadcasters are streaming new content.